Who do you think should play Ian? This goes for both Ian and Kyle as they are brothers. I would think we are looking for someone tall, muscular, pale, black hair, and blue eyes. And don't forget acting abilites. I was thinking they could probably cast Ian and Kyle roughly the same time as the characters look so much alike. The only good Ian/Kyle I can think of is Daniel Cudmore. Duh! But I really have no idea. I'm gonna have to go study some of my movies! Okay Henry Cavill in this picture Henry could pull the Ian/Kyle if he were to seriously work out. Put on some muscle and he might be able to pull it off. Craig Olejnik would be perfect for Ian I think. I said it on the last thread, but he still stands in my mind as Ian. I guess he could play Kyle too, since they're supposed to look so much alike, but I'd like him as Ian. He brings the "snow, sapphire and ink" to the part. Ethan Peck, or for those of you who don't know Patrick Verona from 10 Things I Hate About You (the tv show). Sure his eyes aren't blue, but honestly, in the bigger picture I don't give two hoots about eye color. I also second Ian Somerholder and Matt Dallas, though as much as Ian makes me swoon I think he might have a little too much of a bad boy look for Ian while too much of a pretty boy for Kyle. As many of you have said Kyle and Ian should look a lot alike, so they could might play Kyle too.. I tried to look for some irish actors with brown/black hair, and just the Ian/Kyle look, if you know what I mean.. I LOOOOOOOOOOOOOOOOOOVE CILLIAN MURHPY!!!! I wanted him to be Aro, but alas it could not be. He'd be great for Ian/Kyle. Ian Somerholder would be good. 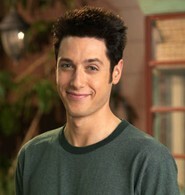 This is going to sound weird, but Paulo Costanzo would make a good Ian/Kyle. http://ia.media-imdb.com/images/M/MV5BN ... SY400_.jpg and http://sjme.de/s/p/Paulo-Costanzo/paulo-costanzo.jpg He's on Royal Pains and can play the huge jerk but he also's quite sweet. He's known for younger roles, but he's 27, so I think with the right look he can pull of Ian. Last edited by debussygirl on Mon Mar 01, 2010 12:25 am, edited 1 time in total. 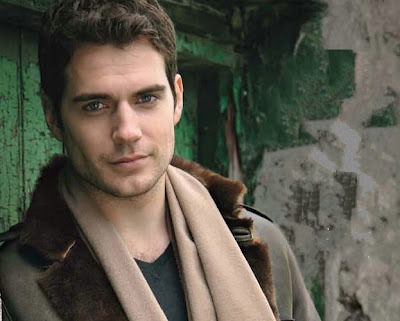 I hate to always bring it back to Edward, but I think Henry Caville would make a fantastic Ian. 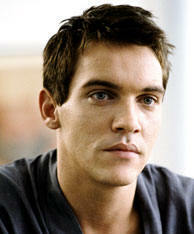 And since we didn't get to have him as Edward, aren't we almost owed it? Channing Tatum would be perfect.